Arguably, one of the most influential modern drummers, Travis Barker, is best known for being the drummer of the rock band Blink 182. Many may wonder, what kind of drums does Travis Barker use during his concerts? Like most professional drummers, Travis Barker uses a customized acoustic drum kit for all of his gigs. Specifically, Travis uses Orange County Drums and Percussion for the drums,Drum Workshop for the hardware and pedals, Zildjian cymbals and drumsticks, and Remo drumheads. When he is not performing on the stage, he is also known for using Roland V-Drums for some recordings, practicing, and mixing of beats. Additionally, Travis owns a cocktail kit he often uses during practice, which is a type of portable drum kit that combines the sounds of bass drum and snare drum. Travis Barker got his first drum kit at the age of four and started playing the drums immediately. He was greatly inspired by various jazz music. In high school, he became more and more interested in music. He got into all types of music, and he even joined the jazz band and marching band during his high school years. As he progressively improved in his talent in music, he pursued his career in being a drummer. In 1998, Travis Barker joined the now famous band called Blink 182, and became their drummer. Aside from being the drummer for Blink 182, Travis Barker has many accomplishments. He founded several other rock bands, joined a rap rock group, joined rock bands, and collaborates with several different hip hop artists. The famous drum set we see on the stage when Blink 182 is performing; Travis’ Orange County Drums and Percussion (OCDP) set typically consists of many different parts. Most importantly, a 14” main snare drum and a 10” side snare drum. For his hip hop collaborations, he will often use different parts. He usually decides to go with a slightly smaller main snare, which is 13”. His OCDP drum also includes a 12” rack om and a 16” floor tom. To finish the drum set, Travis has a 22” bass drum as part of his set with gold plated Drum Workshop DW 5000 bass drum pedal. All these parts are customized and hand selected to his needs. His particular sense of choice for his drum set is what sets him apart from other drummers, and it allows him to put on a great performance on the stage. The drum heads Travis uses are made by Remo. Moreover, we see the Emperor X, which is used for the top of the 14” main snare. The Emperor X is great because it can hold up to Travis beating on it during any concert, which takes on a great impact. For those who have seen Travis perform, you can imagine the level of impact that he puts on those drum sets. Moreover, a regular coated Emperor is used for the side snare and the Ambassador for both snare bottoms. Clear Ambassadors are used on the tom batters and the front and back of the bass drum. Clear Emperors are used on the tom bottoms. All these parts are crucial for Travis’ performance because they are customized to his specific styles. If you are interested in testing out his drum set, you can find Travis Barker’s signature Orange County Drums and Percussion set at Guitar Center. It might not be his exact and current setup, but it is the drum setup that he most used during his earlier Blink 182 days. Furthermore, Travis exclusively uses Zildjian cymbals and Zildjian drum sticks. These cymbals adds great sounds to the entire band performance. His drum set includes all different kinds of Zildjians. He has a 14” A Custom Master Sounds Hi-Hats in a pair. For his hip hop collaborations, he often uses a smaller hi-hat that is 12” or 13”. For cymbals, he typically uses two crash cymbals; one 18″ A Custom Crash and 21″ K Crash Ride.These are the cymbals that truly fits his style and performs the best with on the stage. He also uses a 21” A Sweet Ride Brilliant. For special effects during his concerts, he also uses a 18” Oriental China Trash and a Latin Percussion Rock Ridge Rider Cowbell, which are also important parts to his drum set. Zildjian now sells cymbal sets based on Travis’ favored Zildjian cymbal configuration: Travis Barker Core and Pro Cymbal Pack. Travis Barker is also known to exclusively use Roland electronic drums for practices and studio recordings. One of the Roland V-Drums Travis used to record a Blink 182 Cover is the Roland TD-20x. 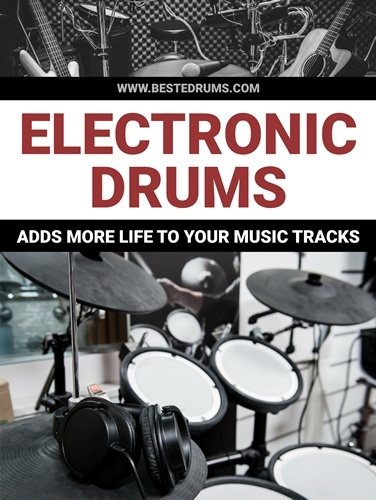 Take a moment to visit Best E-Drums for detailed reviews on other Roland V-Drums such as the TD-11K, TD-1K, and TD-4KP. There is no doubt that Travis Barker is one of the most talented drummer in the industry; however, it is very important that a great musician uses great products that truly fits their style. Travis Barker really customized the drum sets that he utilized on the stage and the electronic drums that he used during his practices that made him the renowned drummer he is today.